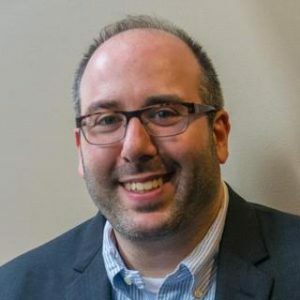 Adam Bellow FETC 2018 speaker presenting “How to Reimagine Your Library Space and Transform Student Learning” and “TechShare LIVE started his professional education journey as an English teacher. His career in the classroom culminated at a high school on Long Island where he taught for several years. He enthusiastically embraced technology in his lessons and it wasn’t long before his path soon led to the marriage of his two passions — teaching and technology. He became the Technology Training Specialist for the school district, training teachers and students to use edtech. He was also the founder and president of the highly successful eduTech and eduClipper websites. As the co-founder of Breakout EDU with James Sanders, Adam is putting all the lessons he’s learned over the last 15 years into practice. He works with educational leaders, teachers, and students from around the United States to help infuse technology successfully in the classroom. By using Immersive learning game platforms, Breakout EDU has found a way to fully embrace the 4 Cs of learning: critical thinking, collaboration, creativity, and collaboration. Adam understands how the market works, and he sees the mistakes many first-time edtech startups are making. He offers some advice to people with little or no experience with startups. “First of all, have a plan for sustainment. How do you keep going, how do you do this thing that you’re passionate about beyond the first month you started building it,” he says. Through experience, Adam knows how quickly you have to build, and what features you have to push to get a teacher’s interest. Experience and innovation are getting people excited about edtech, but the community has to realize that the solutions they seek are sometimes five years away from an introduction and full implementation. Adams points to leadership to ask itself, “Is this edtech worthy of investing for the district, and sometimes thousands of staff and students, in on an academically foundational basis?” Or is it just gimmicky and cool, to be replaced next month by the Next Big Thing? “There is a lot of good content on sites like Teachers Pay Teachers,” Adam notes; “But it’s shrouded in mountains of garbage.” He says that when he walks the vendor floor at big conferences, he sees companies, both brand new and established, in the space with ideas and solutions that have challenges. Districts spent vast sums of money in the 1990s on systems that were behemoths and didn’t work in the classroom. The educational system was retooled and refashioned in an environment that was more about the business than it was about the practice of education. As Adam observes, “The edtech space in the past 15 years has been very organic, very ground-up. It’s driven by classroom teachers who latch onto something and make it work.” And the more teachers who use a tool, the more the district notices. Then they either use the tool to replace an old system, or they take it on as a new system and integrate it into their instruction. Listen to the full interview here: huffingtonpost.com. For more information on his sessions visit the FETC website here.